↑ "The World's 414 Top Division goalkeepers of all time with the longest time without conceding a goal". IFFHS. Archived from the original on 18 February 2009. Retrieved 16 February 2009. 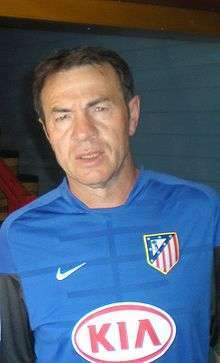 ↑ "Atletico Madrid sack coach Resino". BBC Sport. 23 October 2009. Archived from the original on 26 October 2009. Retrieved 24 October 2009. ↑ "Abel Resino se convierte en nuevo técnico del Granada" [Abel Resino becomes new Granada coach] (in Spanish). Marca. 22 January 2012. Retrieved 23 January 2012. ↑ "Abel Resino sustituye a Paco Herrera en el banquillo del Celta" [Abel Resino replaces Paco Herrera in Celta bench] (in Spanish). Celta's official website. 18 February 2013. Retrieved 18 February 2013. ↑ "Abel Resino, nuevo entrenador del Granada" [Abel Resino, new manager of Granada] (in Spanish). Marca. 19 January 2015. Retrieved 20 January 2015. 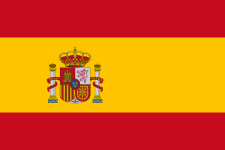 ↑ "El Mallorca, finalista elemplar" [Mallorca, the perfect finalist] (in Spanish). Mundo Deportivo. 30 June 1991. Retrieved 1 May 2015. ↑ "Abel Resino: Abel Resino Gómez". BDFutbol. Retrieved 13 May 2016. "Abel Resino: Abel Resino Gómez". BDFutbol. Retrieved 13 May 2016.